Jen Hamilton is founder of Cairns Beaches Yoga, co-founder of Core Life Yoga and creator of Deep Core Flow. Jen's classes have evolved over the past 20 years of teaching yoga to reflect her ongoing creativity, understanding and curiosity for healing and empowerment through Yoga. Jen's playful personality and focused intelligence brings depth, clarity and vitality to her classes. Jen's classes are guided by her ability to apply an anatomical focus to the practice of yoga in an accessible and relevant way. Jen weaves her love of yoga and evolutionary movement into flowing sequences that include mindfulness and self reflection. Her intention is always to create an inclusive environment where you can cultivate the self acceptance, awareness and confidence needed to make positive and lasting change in your life. Jen currently teaches Yoga classes, Yoga Teacher Trainings, Retreats and Corporate Health Programs. 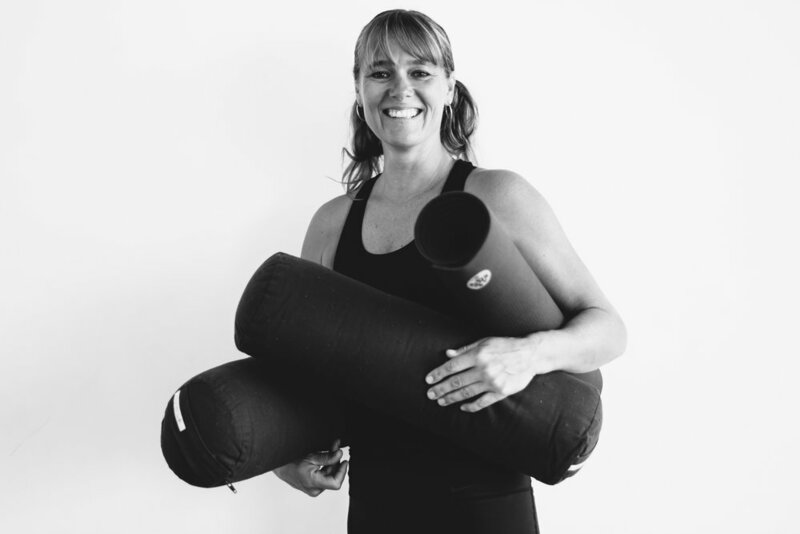 Jen is 1500Hr Experienced Registered Yoga Teacher with Yoga Alliance Australia. Deep Core Flow connects us to our innate power, softens our thinking mind, encourages us to move more deeply into sensing, feeling, and directly experiencing our authentic ‘core’ selves, uncovering a sense of authority to our bodily-knowing. Guided by discriminative mind and profound self-acceptance, fuelled by curiosity and desire for greater depth and potential, Deep Core Flow is playful, absorbing and transformational. Drawing from hatha, vinyasa yoga and somatic movement systems as well as the latest science available in anatomy and biomechanics the principles of Deep Core Flow enhances every style and level of yoga practice, the core techniques and practices apply equally to vigorous vinyasa, and gentle yoga. Deep Core Flow is designed to access the deepest, innermost support structures of your body, offering an inherent lightness, power and support in movement alongside a healthy range of motion and stability. Through fluid movement Deep Core Flow cultivates ease, flexibility strength and stability. Somatic inquiry, breathing and mindfulness practices fuse with slow flowing vinyasa, creating an inquiry-driven exploration of yoga into how your structure really wants to move. Deep Core Flow is an expression of movement that creates deeper connectivity and support so we may move through all of our life with ease and stability. Jen often collaborates with other highly experienced and skilled teachers to offer quality mind/body classes and programs. Having always had a keen interest in philosophy and the esoteric, Han recently trained with Satyananda Yoga Ashram for 2 years. After completing his training, Han continued to reside and teach at Satyanada for another two and a half years. Yoga is an important way of life for Han. 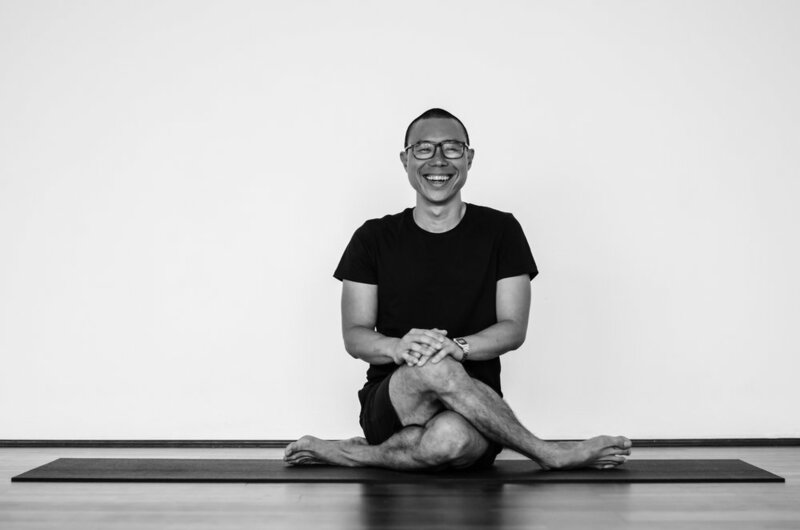 Through the wealth of Yogic practices, Han is happy to help uplift and bring well-being to others. Han teaches the Mindfulness Course, 6pm Wednesday nights. Jodi came to yoga first as a purely physical practice, and over years her relationship with yoga changed, progressed and blossomed into a way of living and a life of constant discovery and “aha” moments that she knows will never cease. Jodi believes she is always a student and dedicates herself to continually learning refining and expanding her yoga. To be apart of Jodi’s class is to be invited into the home within yourself, her classes explore the layers of physical sensation, cultivate the capacity stay with sensations and emotions that arise whilst remaining a participatory observer to these feelings rather than a involved participant. Focusing on releasing resistance on all levels, moving deeper, letting go of that which binds you, you will be encouraged toward your innate state of being, to experience the basic meaningfulness of moments and the interconnectedness of all. Hollie is an Occupational Therapist and Yoga Teacher, who has devoted her career to understand fully, the sophisticated interplay of the human mind & body, with our environment, to find health and wellness in the everyday. Off the mat, Hollie has extensive experience working with people during life’s difficult physical or psychological transitions, such as traumatic injury, accidents or illness, providing hand’s on rehabilitation treatments and/or case management support. On the mat, Hollie’s yoga classes offer something for all levels, as she combine’s her vast knowledge of injury prevention and rehabilitation by skilfully guiding each student toward their own version of integrated awareness, via playfulness and self exploration. With a practice eye and priority on adaptability, Hollie creates a space for you to find awareness of body and mind, through yoga.